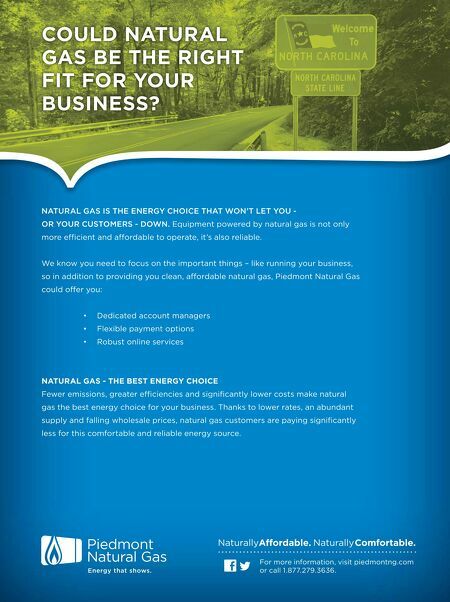 COULD NATURAL GAS BE THE RIGHT FIT FOR YOUR BUSINESS? NATURAL GAS IS THE ENERGY CHOICE THAT WON���T LET YOU OR YOUR CUSTOMERS - DOWN. Equipment powered by natural gas is not only more efcient and afordable to operate, it���s also reliable. We know you need to focus on the important things ��� like running your business, so in addition to providing you clean, afordable natural gas, Piedmont Natural Gas could ofer you: ��� Dedicated account managers ��� Flexible payment options ��� Robust online services NATURAL GAS - THE BEST ENERGY CHOICE Fewer emissions, greater efciencies and signifcantly lower costs make natural gas the best energy choice for your business. Thanks to lower rates, an abundant supply and falling wholesale prices, natural gas customers are paying signifcantly less for this comfortable and reliable energy source. NaturallyAfordable. Naturally Comfortable. Energy that shows. 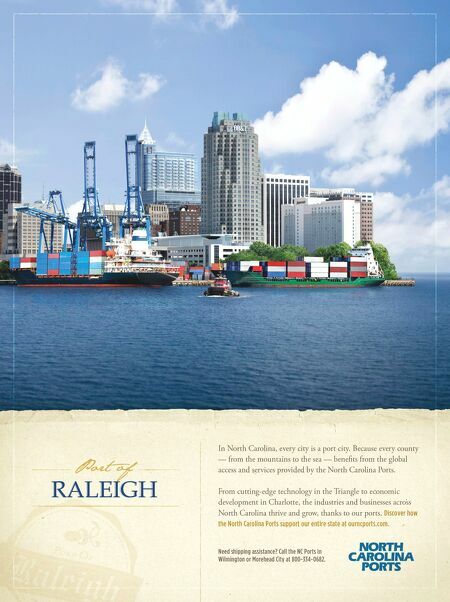 For more information, visit piedmontng.com or call 1.877.279.3636.